My husband and I have a recent obsession with smoothies- like, a serious obsession. Smoothies have some how made their way into our lives (although, I’m not quite sure how), and now we absolutely love the fruity beverage and can’t live without it. I think we have had a smoothie every day for the past week. Total obsession! Matter-of-fact, I’m drinking one right now. 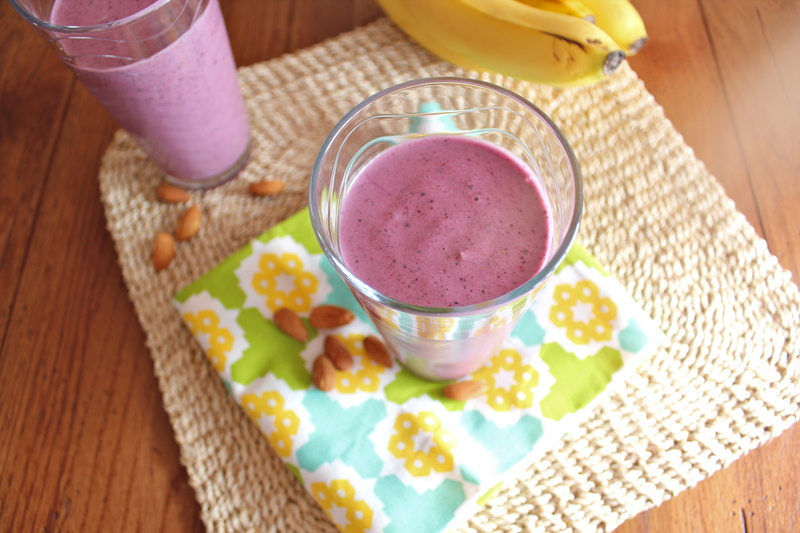 Actually, this one- my very berry banana smoothie. It’s super delish. Not only do smoothies taste delicious, but they’re pretty, too. Depending on what fruit you use, they come in an array of colors. Heck, you may even be able to match a smoothie to what ever outfit your wearing that day. I so don’t do that. Wink! Smoothies are very versatile. You can use any fruit you like or have on hand. 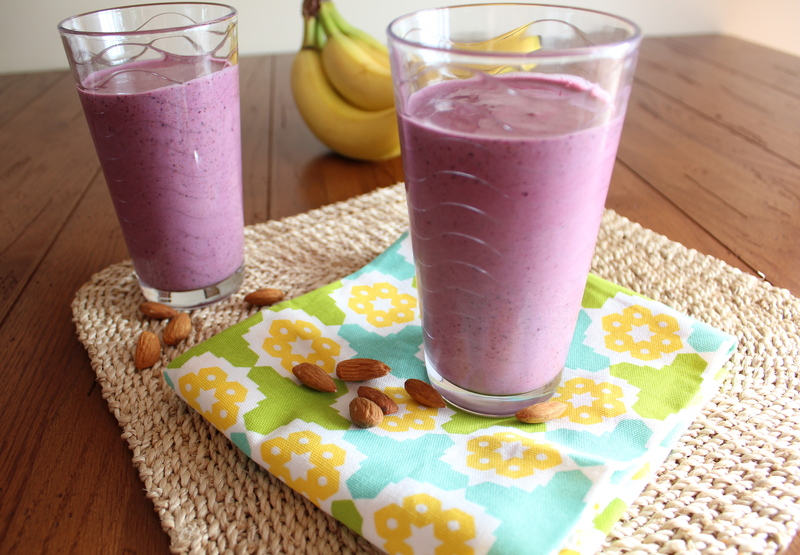 I love adding almonds, oats, or flax meal to my smoothies to give it a boost of protein. The protein helps fill you up and keep you full for a couple of hours. Lately, I’ve been using smoothies as a meal supplement because of my busy school/work schedule. I also drink a smoothie before my zumba class. It fills me up just enough to give me the energy I need for my workout without making me feel nauseous. All you have to do is grab the ingredients your using, throw them in a blender, and buzz. Viola! you have a delicious and filling fruity beverage. This recipe is dedicated to my brother, Mike- the smoothie king! Add all of the ingredients to a blender and blend until smooth. Feel free to add some ice if you like it cold and slushy. I happened to use frozen fruit, so it was all ready very cold. Like I said before, play with the ingredients. You can supplement any of these ingredients for the fruit of your choice. Make it your own. Enjoy! I am on a fruit binge right now, not sure why-but this post is very timely for me. Never had a smoothie I did not like! However, I have to admit you did make a great choice of fruits for this one! Love the color too. Happy Valentine’s! I will be making this in the morning for my commute to work since it’s so easy. Hello! Just checking in from FoodBuzz. Thanks for the friend request. My kids love smoothies and often make one themselves. I am sure they will like this one. Thanks for sharing. Feel free to stop by our site and say hello.